DOIN’ THE HAPPY JITTER BUG DANCE WITH JAZZ HANDS WAVING!! Liebster is a German word meaning Dearest or Beloved, it can also mean Favorite. (with fewer than 200 followers) in order to create new connections and bring attention to wonderful growing blogs. I am always so thrilled that people actually look at my blog and actually like my stuff, I mean seriously still can’t get over it! Now, an award!? I won’t be able to sleep! She has such an awesome blog-GO CHECK IT OUT!! Now it is my turn to pass on the award, with a these few simple rules. leaving a comment on their blog. 1. Holly @ Bella Nest She has a lovely blog complete with serene music. She has so many projects I plan to “interpret”, but my fave is this chalkboard topped, Goodwill rescued, rolling cart that has put me on a heavy search for some furniture to redo. She is a super sweetie and I really feel her faith and how her blog is based on a love for the Lord! Of course, with Him< ALL THINGS ARE POSSIBLE! So inspiring! 2. Jodi & Gloria @ Vintage & Co These ladies have the life I want (or at least something similar). They shop junk stores, antique malls, etc.all year, tweek items with their awesomeness, and then have an open barn (decorated to a T) sell three times a year. 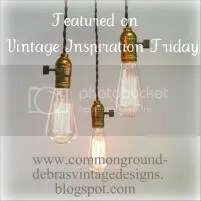 Their blog shows all this wonderful stuff, plus other interesting vintage matter, and recipes grandma would be proud of. The “Jesus Tree” idea is AHmazing! 3. Jennie Louise @ Snapdragon Diaries This girl is just plain cool! I love her outlook on life and she shares it through her blog with some amazing photography and insights. Her lens on life has been so many places I want to go and her “bucket list”-PURE FAB! I look forward to seeing more from her and learning at least a part of all the amazingness she has to offer-which is A LOT!!! 4. Connie @ Hot Flash n Craft n This sweet lady has talents I aspire to possessing! 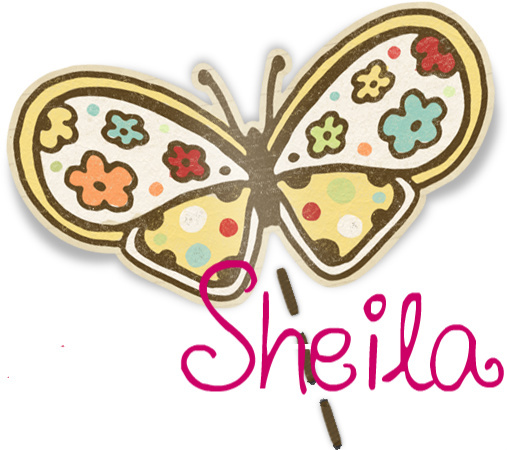 She is a wonderful seamstress and can do amazing things with photshop along with other neat crafts. These are two things I will learn, so I’m paying close attention to Grammy Bear’s posts! (Isn’t that so sweet-her grandchildren call her that). 5. 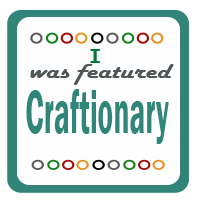 Jennifer@ Caught My Fancy This USAF wife has some really cool crafts and healthy, vegetarian recipes. If you have a little girl in your life, you HAVE to check out this dollhouse she made. OH MY GOODNESS! The attention to detail is beyond compare-I mean really!! Also a must see is a unique baseball wreath and her menu board is better than the one I made-I’m jealous! There are umpteen other blogs I would have loved to list. It’s absolutely OVERWHELMING to see all the talent out there! I’ve decided to get over myself and quit saying, “oh, I wish I could do that.” Instead, because of all you fantalisciously fabulousoh women out there, I’m saying, “I CAN AND WILL DO THAT!” That’s what’s so great about blogging. I feel like I’ve got such an awesome support group and friendly, positive people out there-on my side!